The origins of the town's name is unclear: for some historians it derives from the Latin name of person "Turnius", while for others from the dialect word "torno", (height). A complex of scattered ancient villages, it consists of 22 small villages, located in the Valle del Cervino, Torgnon is open to tourism all year round, thanks to its modern and functional plant. During the warmer months it is possible to practice hiking, horse riding or mountain biking. 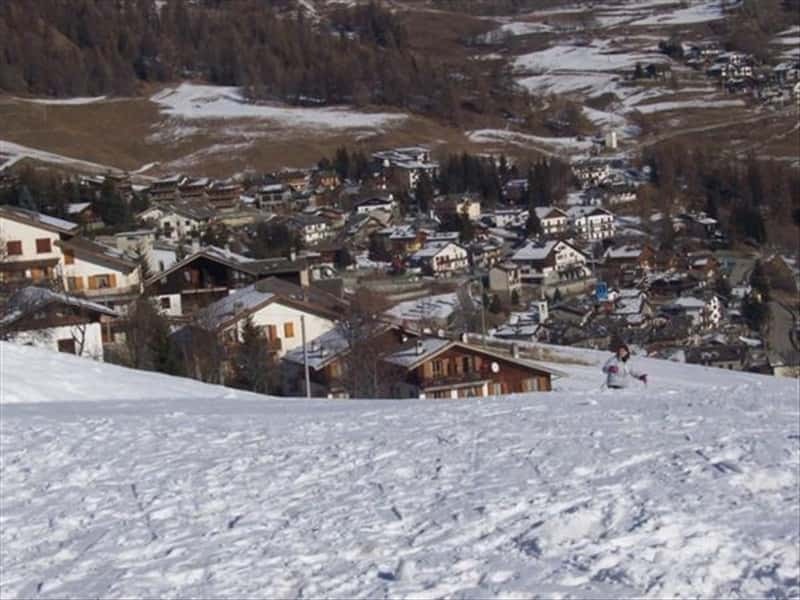 In Winter there is a large ski area, rich of downhill slopes and cross country skiing facilities. The discovery in Chatè and Chatrian of the rests of protohistoric settlements evidence that Torgnon was inhabited since the prehistoric times. During the Middle Ages it was part of the Lordship of Cly, whose fief ranged beyond the Alps up to Zion. During the rule of Pierre de Cly, the feud was conquered by the Savoy who dominated for approx. two centuries, until 1550, when it was ceded to the family Moralis, while later it went to the Fabri, the Roncas and to the Berger. The local authority of Torgnon was founded in 1750, when towards the end of the XVIII century, the inhabitants obtained the liberation from the feudal lords and by census it acquired title over the lands. The Parish Cchurch of San Martino, built in 1868, presents itself in a Neo-Gothic style, and features three naves. Worth of note is the large XVI century crucifix, probably of German school, which hangs from the ceiling of the central nave and strikes its visitors for the size. In the chapel of the Annunciation is decorated with paintings of the second half of the XIX century, depicting the life story of Mary alternating her with figures of various Saints. The Museum of Sacred Art, housed in the church, in the chapel of the Immaculate Conception, preserves a Christ dating from the mid XIV century, a St. James of the mid XV century, a saint of the XIV century, a Madonna and Child with Saints James and Martin which are artworks by the German school. Various Chapels and Oratories spread over the municipal area. The Eco Museum in the village of Triatel is located about a mile from Torgnon, from where departs a trail with a fabulous views over Valtournenche. It is a complex of a row of raccards, a grange and a grenier, built between 1462 and 1700. The raccard are a series barns made with larch trunks, resting on pilotis wood and stone, they were used for the storage of stocks of grain and hay. Today it houses a permanent exhibition, with the help of texts and drawings, it allows its visitors to reconstruct the history of the village. The grange was used for grain threshing, the grenier, built on a stone base, was used to store supplies. In the nearby, on the stream Petit Monde, there is an old mill. This town web page has been visited 13,334 times.